What a wonderful way to start off 2013... a feature on TN&TN. Hello everyone! My name is Brigitte Red. Some of you may know me through my blog "A Loose Bobbin" (linked) where I blog under an alias. I live in Coquitlam, British Columbia and when I'm not working as a legal assistant, I'm having a close encounter with my sewing machine and fabric stash. I also enjoy traveling. The traveling is almost always related to my quilting. You know... that sudden stop in a small town when you see the words "Quilt Shoppe" on a store window or sign. Yes, I am a member of those odd birds that purchase yards of fabric only to cut it into little pieces and sew it back together again. I've tried to give it up but learned that resistance is futile. I had done considerable sewing growing up, but there were no quilters in my family tree that I could draw upon. I had watched my mother create wonderful treasures with her sewing machine, crochet and knitting. 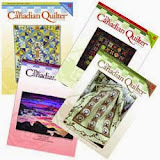 But it wasn't until my purchase of the book Quilts, Quilts, Quilts by Diana McClun and Laura Nownes in 1993, that I found the right outlet for my creative urge. My first quilt, consisting of blocks sewn following the practice lessons in that book, was lap size and tied. Unfortunately I no longer have it, just a picture of it. At the time I was working in a consulting firm that was making use of early renditions of the internet. 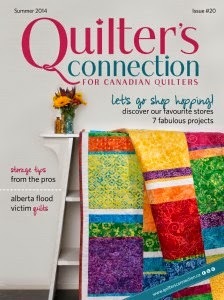 I discovered that I could join an online group and "chat" with other quilters around the world. There were opportunities to exchange quilt blocks and participate in round robins, things that I continue to enjoy today. Since then I have attended numerous quilting workshops to increase my skill and confidence and joined a local quilt guild. 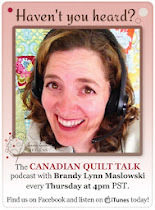 I find the camaraderie and feedback of my fellow quilters to be invigorating and inspiring. I was asked what my top three personal accomplishments were this past year. If the completion of several long standing UFOs are each considered an accomplisment, then I've had a few. But seriously, I had to think carefully about the ones that stand out the most. 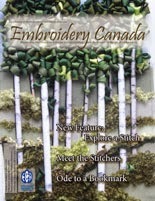 This past year I was honoured to be asked to present a trunk show at my local guild. I was uncertain that I would have sufficient quilts to make an interesting presentation. A great many of the quilts I made had been donated to various community organizations. As it turned out I filled two large suitcases and the presentation was a resounding success. 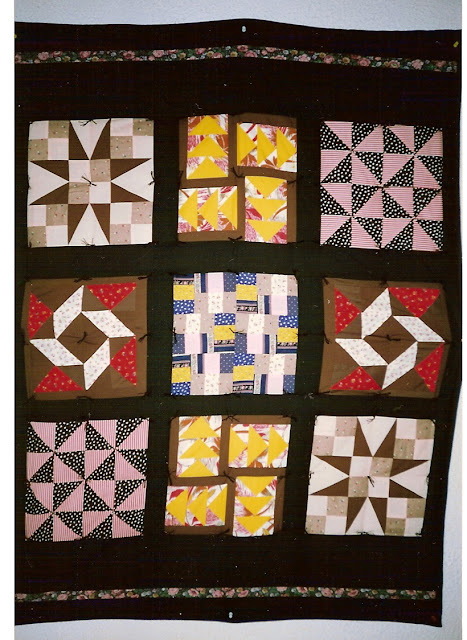 Some of those quilts I highlighted on my blog under the heading of Trunk Show Tuesdays. Those blog posts helped me reach my 100th post before the end of 2012. Hmmm... maybe it's time for a give away on my blog. I had often dreamed of being able to create a quilt that portrayed an accurate representation of flowers. In April 2012 I attended the Empty Spools Seminars in Asilomar, California where I enjoyed a 5-day workshop by Melinda Bula, author of Cutting Garden Quilts. With the techniques I learned from Melinda, I was able to realize my dream when I created a quilted wall hanging of pansies. The quilt hung in my local guild's show and was a ribbon winner! Although I consider myself a "traditional" quilter I was recently afforded the opportunity to join and form a small group of art quilters mentored by one of the members of the international fiber art group known as "Twelve by Twelve". 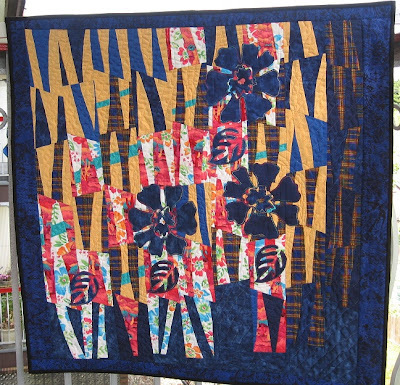 Our group called "The Tangled Textiles" just finished our first round of art quilts last year. I didn't think I would be very good at producing something "artsy" but I surprised myself and was pleased with the results. I have a link to our group blog on my blog if you are interested in seeing more. My final accomplishment has yet to be decided. "What?" you say. After 20 years of perfecting my skill, I finally screwed up the courage to send in my first ever submission to a national show. Yup!! Our CQA/ACC National Juried Show... If my quilt is accepted, I will be on cloud 88 and count this as another personal accomplishment. Monika asked me what my BIGGEST dream was for myself. Hmmm, that's a tough one to answer. Like all of us I have many dreams not the least of which would be to create a quilt that is artistically innovative and creative enough to hang in a gallery. But my biggest dream would be to visit the Textile Museum of Canada, International Quilt Study Centre in Lincoln Nebraska, and the Smithsonian's National Museum of American History so that I could get up close and personal to some exquisite antique quilts and intriguing quilt history. As to what the future holds, I can't say, but if you stop by my blog for a visit you can see what "floats my boat" and maybe even offer some ideas. 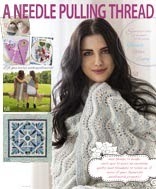 I want to thank The Needle and Thread Network for inviting me to be with you on Feature Friday. Please drop by to see more at my blog. 'Till we meet again... keep itchin' to be stitchin'. thanks for sharing...I had a visit to your blog as well! Good to get to know you a little. And good luck with the entry in the National Show!! We will be waiting to see your quilt! A great report on what you have been up to and where you'd like to go. So glad you are part of TN&TN! What wonderful, sharp points -- on your very first quilt, too! Enjoyed the entire article...and now to pop on over to your blog. Hey! I know you! What a pleasant surprise and great way to start my day! Thank you for sharing. (and while that is a lovely flower quilt shown in the article, it is not the quilt that is talked about which is an absolute stunner!) Good luck with NJS entry, although I know you have nothing to worry about! Thank YOU for being featured Brigitte! It was great to get to know you more. All the best in your future endeavors! It was so nice to see a real pic of you!! 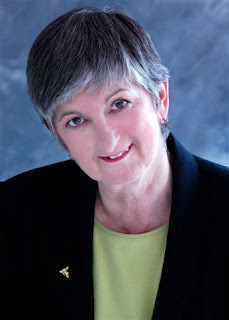 How marvellous Brigitte, well done and keep following your passion. How fun to read to this post! By chance I was randomly clicking through my blog reader and landed here when I saw your photo Brigitte. 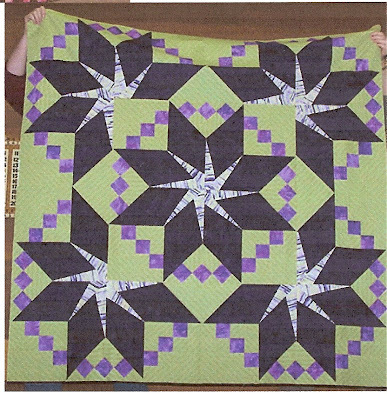 Great post, your quilts are beautiful and you would never know that you were new to art quilting back when Tangled Textiles was formed as you've created fabulous art quilts from the first challenge.